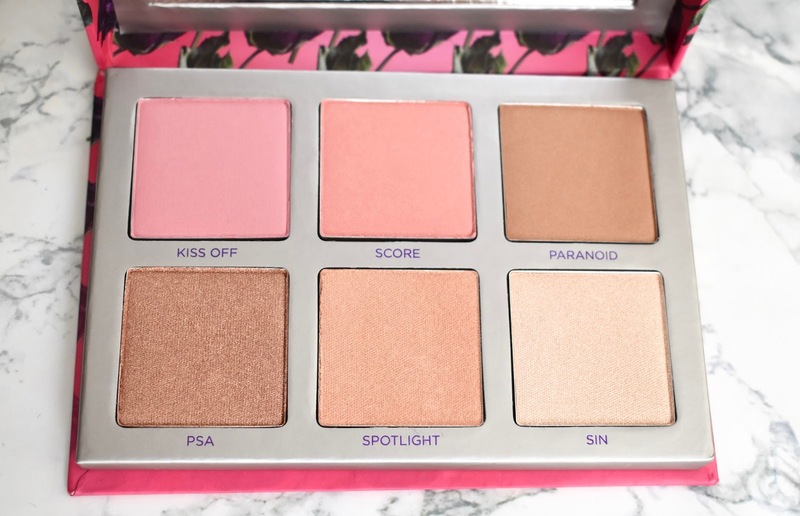 Urban Decay has a new highlight and blush palette that has some really nice shades for spring. 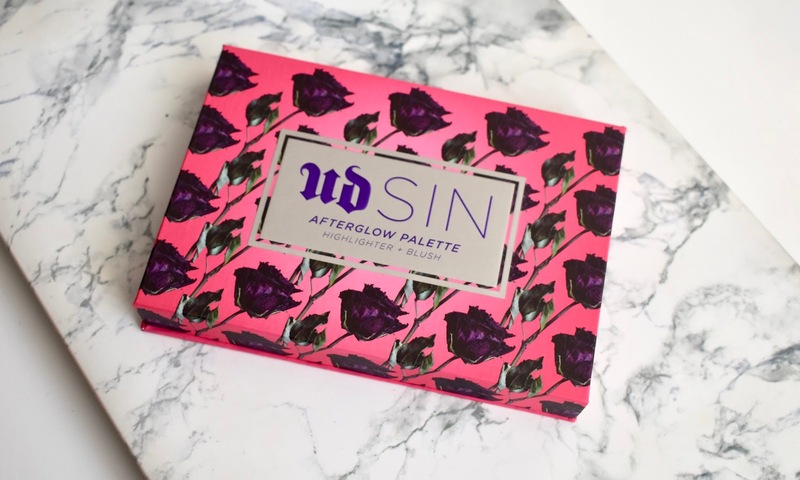 The UD Sin Afterglow Palette is a 6 pan palette with 3 highlighters and 3 blushes. You can use them on their own or layered/mixed to create your own unique look. The shades are mainly on the lighter/neutral side but they are all still quite pigmented. See swatches and more info below. The packaging of the palette has dark plum purple roses on the outside and there is a magnetic closure. 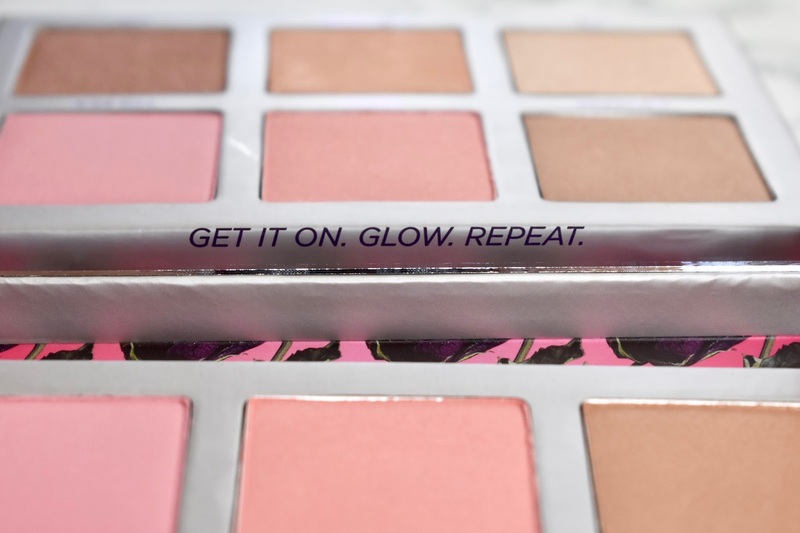 The inside of the palette has the 6 pans and a good sized mirror with the phrase: "Get it on. Glow. Repeat." I love when palettes have small details to them, it just makes them more fun to use. The Urban Decay Sin Afterglow Palette ($39) quickly became one of my favorite palettes to own. It has just what I'm looking for in a blush and highlighting product. My favorite shades from the palette are Score, PSA, Spotlight, and Sin. 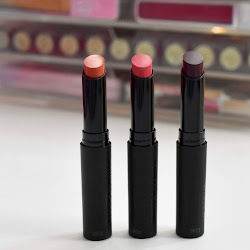 Kiss Off and Paranoid are great for layering but they were was a bit too light for me. All three highlighting shades are so pretty and I love how different they are. The lasting quality on these are great. 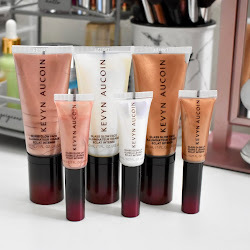 I have always loved Urban Decay's Afterglow formula. They are always soft, pigmented, and so nice to blend out. 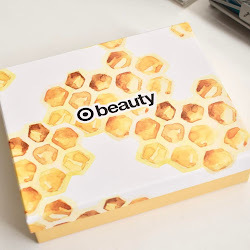 This is a great palette to own and you will not be disappointed if you pick this up.